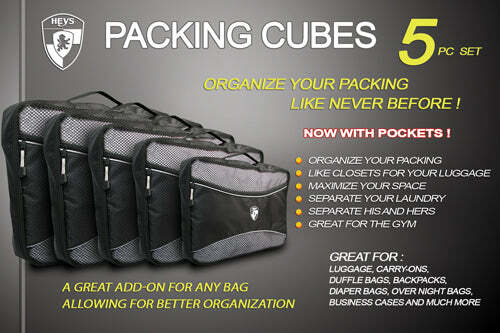 The Eco 5pc Packing Cube Set™ is made from 18 recycled water bottles. By utilizing discarded materials to create new products, Heys offers an Eco-friendly choice for a clean and sustainable future. What is Ecotex ? 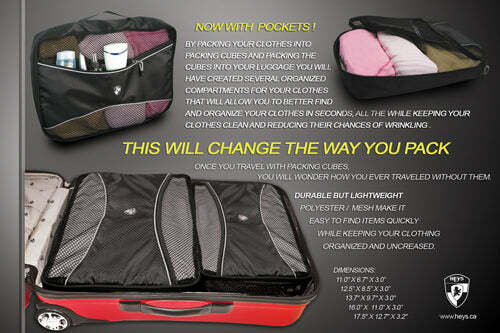 This product is also available in Ecotex 3pc Packing Cube Set™, Exotic 5pc Packing Cube and Pack ID Packing Cubes.